209 days in the Netherlands. 541 days in Belgium. 344 days in Spain. If things go badly, the Federal Republic of Germany will soon join this record chart of protracted government formations, possibly on one of the front ranks. The exploratory talks between CDU, CSU, FDP and Greens, called for their black/yellow/green colours the "Jamaica" coalition, are still ongoing, but from what I read and hear, I don’t get the impression that they will lead to a stable, joyfully future-oriented coalition anytime soon. Four of the six parties in the Bundestag, each for comprehensive reasons of its own, seem to expect more return on their political efforts if they adopt the role of opposition than from the risky task of taking on responsibility as a junior partner in Angela Merkel’s government. (And no one wants to coalesce with the far-right AfD to begin with, for even more comprehensive reasons). What if the talks fall apart? The script for that scenario can be found in Article 63 of the German Grundgesetz: The Federal President will nevertheless propose someone – most likely Angela Merkel – for election as Chancellor to the Bundestag. There, she will fail in two rounds of elections to achieve the required absolute majority. In the third round of voting, a simple majority suffices, and then it is up to the Federal President to decide what he considers to be more conducive for Germany’s public interest: to appoint Angela Merkel as minority chancellor or to declare new elections. New elections would mean that it will probably be summer again until Germany finally has a legitimate government – if at all, as nobody knows if new elections would produce a result that makes forming a government any easier (see Spain). Europe’s biggest state incapacitated for months, in times as extraordinarily trying as these – isn’t that a failure of democracy? If one considers the constitution as a kind of software whose task it is to generate from the input of popular will the output of a majority capable of making collectively binding decisions, the idea seems not far off. The system, one might think, doesn’t do what it is supposed to do and therefore needs to fixed. By means of a more majoritarian election system, for example. Or by introducing more elements of presidential democracy. I would consider such a conclusion to be a huge mistake. Precisely because the increase in the number of parties unable or unwilling to form a coalition in the parliaments of Europe is a sign of crisis in democracy, it would be fatal to neutralise this sign by tinkering with the system. Removing the symptoms doesn’t fix the problem, just as you don’t get rid of an infection by the use of a nasal spray. 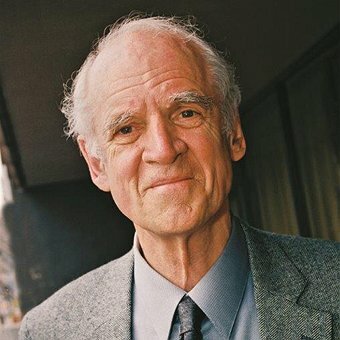 On Thursday, the great Canadian philosopher Charles Taylor held a lecture at the American Academy on Wannsee (when and if I turn 86, I want to look like him!). His topic was the susceptibility of democracy to certain "paths of degeneration" – just as the body is susceptible to certain pathogens, depending on its constitution. One such path of democratic degeneration is the tendency to overemphasize the majority principle and to forget that everyone has a share in the res publica, whether part of the majority or of the minority. Another is the urge to set participation in the res publica absolute as a matter of identity and to distinguish between "real" and "less real" citizens, to strengthen the identity of the former and to exclude the latter. The third path of degeneration highlighted by Taylor is the self-reinforcing feedback loop of disconnection: the feeling of not profiting from and not participating in the res publica, the impression that democracy has no regard for one’s person and no use for one’s voice, ultimately feeds on the effects it itself creates. As the number of protest and non-voters increases, the system becomes more and more dysfunctional, and the number of reasons to vote for mischief-makers or not at all increases accordingly. The more people turn their heads away and no longer understand what is going on, the more illegible society becomes, and the more resonance for magic thinking along the lines of "Make America Great Again" ensues. These feedback loops are not a mere accident nor a consequence of the misconduct of some foolish people, but are ingrained in democracy, and in order for them not to spiral out of control, counteraction is required: active efforts to make the res publica the project of all those who have a share in it. To come back to the subject of forming a government: The dissolution of party ties, the erosion of the bipolar conservative/socialist party system and the emergence of charismatic protest movements sucking up ever bigger portions of political oxygen in the room is not (just) an output problem, it is an input problem. Modifying the software in such a way that it ejects the correct output again doesn’t fix the problem. Only patience does, and a robust constitution and careful determination to avoid closing malicious feedback loops for the sake of short-term political profits. For the time being, I have little more to hold on to than my hope that the liberal and christian-social proto-coalitionaries in Germany ultimately will come to the same conclusion. One project we will need an effective majority for in Germany is the implementation of the seminal Constitutional Court ruling last week on the discrimination of intersexuals in the register of births, marriages and deaths. We have taken the liberty of providing some assistance for this project. ANNA KATHARINA MANGOLD has gathered an impressive amount of expertise in an online symposium (in German) organized by her to prepare the field for the legislator. SARAH ELSUNI shows under the wonderful headline "Hard or soft Sexit?" what options the legislator has, and to what consequences. NORA MARKARD analyses the far-reaching consequences of the decision for the interpretation of the anti-discriminatory Art. 3 (3) of the Grundgesetz in general. BERIT VÖLZMANN examines how the rights to privacy and equality in the decision relate to each other. ROMY KLIMKE sheds light on the background of international law, and ULRIKE KLÖPPEL discusses the effects of the decision on the practice of performing cosmetic genital surgery on children. ELISABETH GREIF points out that the Austrian Constitutional Court is about to hand down a judgment on the same matter in Austria, and KATHLEEN JÄGER lists which regulations abroad could serve as a model for the German legislator. Meanwhile in Poland: The PiS government is striving to replace the liberal constitution of 1997 with a new illiberal constitution. TOMASZ KONCEWICZ shudderingly describes what Poland should expect from such a "Constitution of Fear". By the way, one of the things the German would-be coalition seems to agree upon is the fact that, according to their current state of discussion (p. 50), they intend "to improve the rule of law mechanism of the EU" and "strengthen the Commission in its role as guardian of the Treaties". That shouldn’t be overestimated but maybe could be read as a sign that the complacency of the outgoing German government with respect to Hungary and Poland might come to an end at last. Poland’s strongman Kaczynski and Japan’s Prime Minister Shinzo Abe may have quite a bit in common, most of all their fervent nationalism, but one thing separates them: Unlike the former, the latter is in possession of a two-third majority since the recent parliamentary elections in Japan, and he seems determined to make use of it. According to TOMOAKI KURISHIMA, however, the constitutional changes he envisions for Japan are mostly symbolic for the time being (which makes another crucial difference to Kaczynski; in German). In Luxembourg, the whistleblower Antoine Deltour is currently facing trial for his role in exposing the dubious taxing practices that came to be known under the name of "Luxleaks". JEAN-PHILIPPE FOEGLE finds that the case reveals a gap in the European Court of Human Rights' case law on whistleblower protection. In Greece, the Syriza government of Alexis Tsipras is still in power. His former finance minister, Yanis Varoufakis, has now published a book in which he describes his clash with the euro finance ministers from his point of view. PAVLOS ELEFTHERIADIS has reviewed the book and comes to a damning conclusion: "Varoufakis believes that his book’s narrative exposes the European Union’s deception and hostility to democracy. It does nothing of the sort. If anything, it provides evidence that the EU respects its own principles, even in moments of crisis. This is perhaps what should alarm those Brexiteers who hope to craft, like Varoufakis, a 'bespoke' deal to reflect some imaginary balance of power." Germany has been convicted by the ECtHR for not sufficiently securing the identification of police officers. JOHANNES GRAF VON LUCKNER examines how this can add up to a violation of human rights (in German). MANUEL MÜLLER derives from the exchange of blows between EP President Tajani and FDP leader Lindner about the European financial transaction tax clues about what is to be expected from the European policy of a possible future German coalition including the FDP: nothing good (in German). MATEJ AVBELJ recommends "popular constitutionalism" as opposed to "populist constitutionalism" as a remedy in the current crisis of constitutional democracy – "constitutionalism which will listen and be responsive to the anxieties of the people; which will provide the solutions that will make a real difference in people’s life, while simultaneously staying faithful to the essential values of constitutional democracy." A very interesting series of blog posts on the topic of "Populist Constitutionalism" can be found on the website of the EUI working group of Gabor Halmai, with contributions by KIM SCHEPPELE, BOJAN BUGARIC, PAUL BLOKKER, GABOR HALMAI, THÉO FOURNIER and JULIAN SCHOLTES. ALEKSANDRA SOJKA asks what nationalists are marching for in Poland (in Spanish). JACQUES HARTMANN explains what Denmark has in mind with respect to the reform of the European Convention on Human Rights during its turn chairing the Council of Europe. 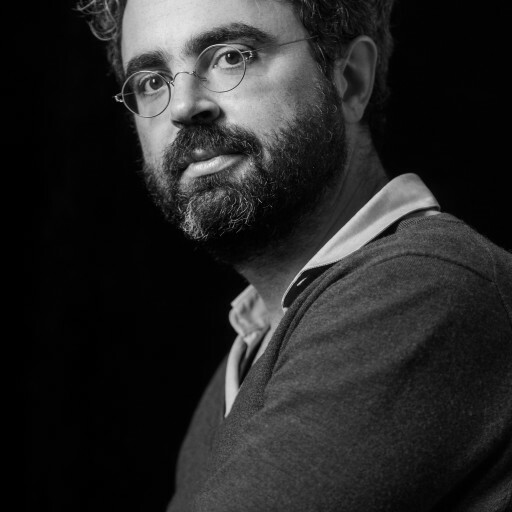 ANTONELLO CIERVO analyses President Macron’s speech before the European Court of Human Rights in Strasbourg (in Italian). VALESKA DAVID and SARAH GANTY are disappointed with the verdict of the Strasbourg Human Rights Court Garib v. Netherlands, which finds the fact that poor people in the Netherlands can be banned from moving to social hotspots is in line with the right to freely chose their residence. ALBERTO CODDOU MCMANUS reports on the constitutional reform plans in Chile and the ambivalent role of opinion polls in this context. ELEONORA BOTTINI examines why the referendum in the US state of New York to reform the state constitution fell through so spectacularly (in French). LEONID SIROTA reports on a Canadian Supreme Court ruling on the religious freedom of a First Nation who claimed that developing a piece of public land would drive the Grizzly Bear Spirit away and thereby impair their religious beliefs and practices. So much for this week. I apologize for the occasional use of infection and cold metaphors in this letter, which might reflect my still slightly off-colour condition. All the best to you, and stay healthy! SUGGESTED CITATION Steinbeis, Maximilian: Waiting for Jamaica, VerfBlog, 2017/11/18, https://verfassungsblog.de/waiting-for-jamaica/, DOI: https://dx.doi.org/10.17176/20171120-094237. "And no one wants to coalesce with the far-right AfD to begin with, for even more comprehensive reasons"
"for even more comprehensive reasons"
In all fairness, AfD today is what CDU was in the 70s. What are the reasons here? A final return to a White society with family values? Gross, right?